Discussion in 'Android Devices' started by difabio42, Nov 5, 2010. 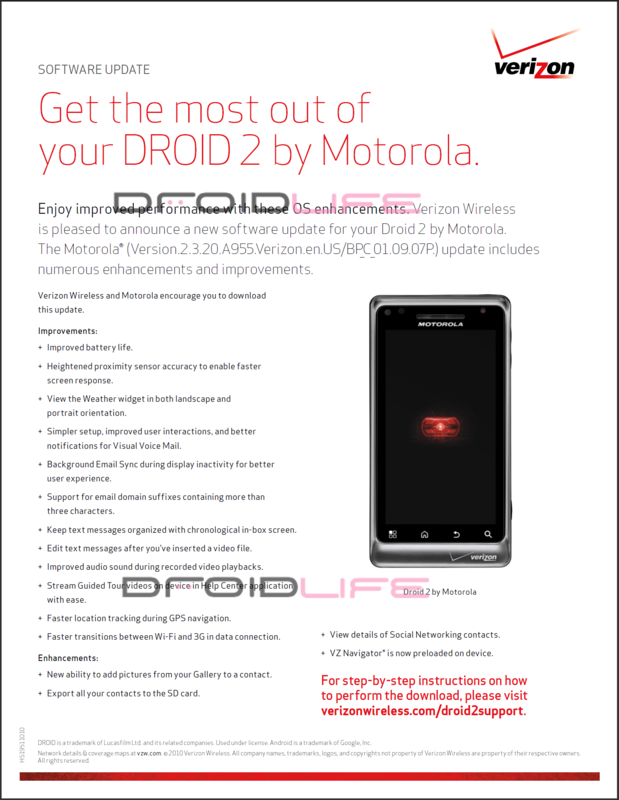 I just got a text saying there was a new update for my Droid 2 (OS 2.3) and I installed it. My question is what are the new things that 2.3 has that 2.2 didnt? This isn't Gingerbread aka Android 2.3. The update you received is a minor system update. Your system version was 2.2.20 but now its 2.3.20. Notice I said "system" version. Your Android version didn't change. You are still on Froyo aka Android 2.2.